Here's a Mighty Marvel UK offer from April 1974: MARVEL POSTERS (by an uncredited Spanish artist... any ideas?)! 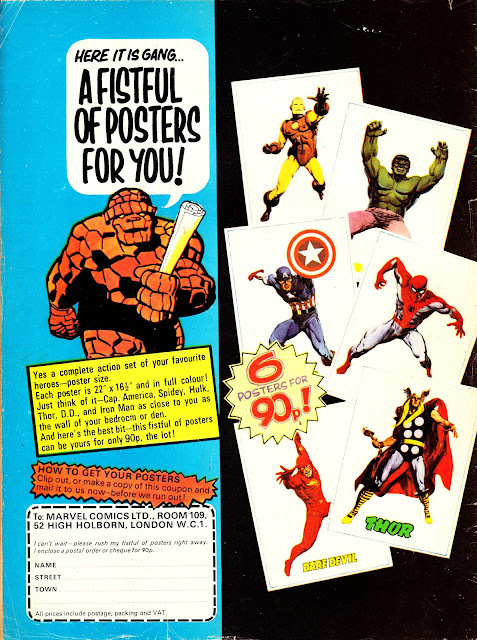 Six poster for 90p (and that includes VAT and the postage). Brilliant! What could possibly go wrong? As this Bullpen Bulletins (masquerading as the Marvel Bulletin Board) page from August 1974 shows, the posters were delayed (apparently by a combination of vaguely feasible events... including a missing Daredevil poster) on their land journey across the continent to the UK. What I do find intriguing is the reference to "announcements in the Daily Express and Daily Mirror". 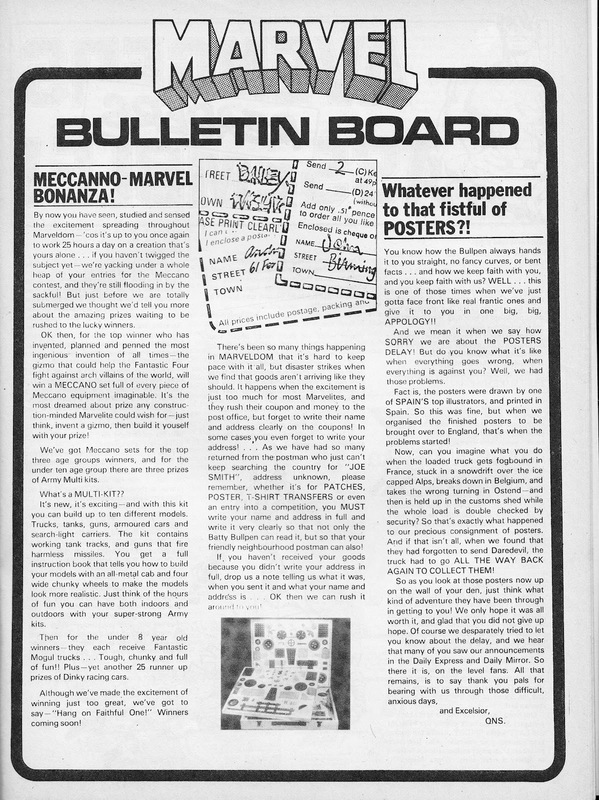 Does this mean that the poster offer also ran in those papers (possibly as an editorial promotion) and Marvel were forced to apologise there to? Why else would they want to draw attention to their failures in logistics? Did anyone reading this get the posters through the papers? Was it their first introduction to - ahem - the mighty world of Marvel?